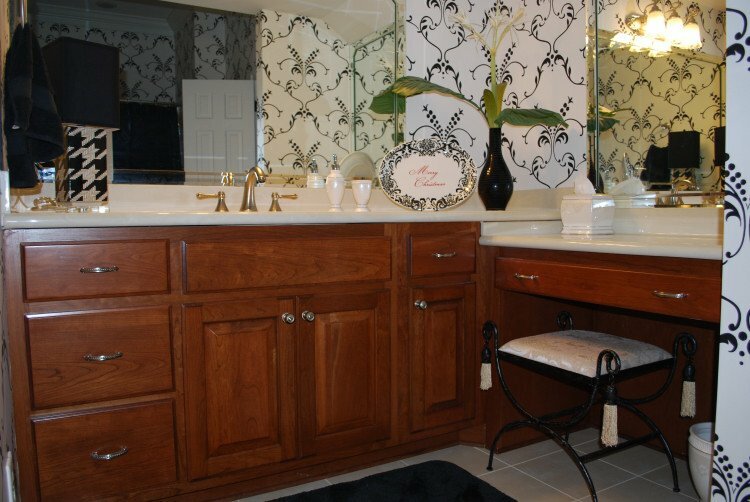 Your bathroom is one of the most commonly used rooms in your home. 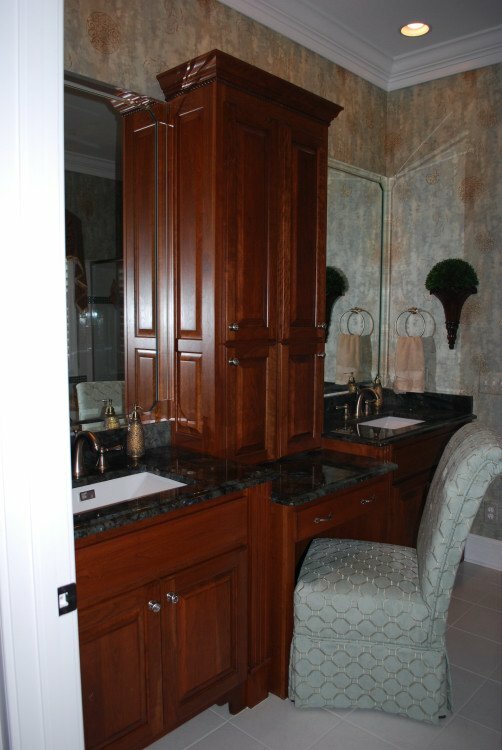 The right cabinetry and countertops in your bathroom can help maximize your storage space while also giving more room for people to handle their personal needs. 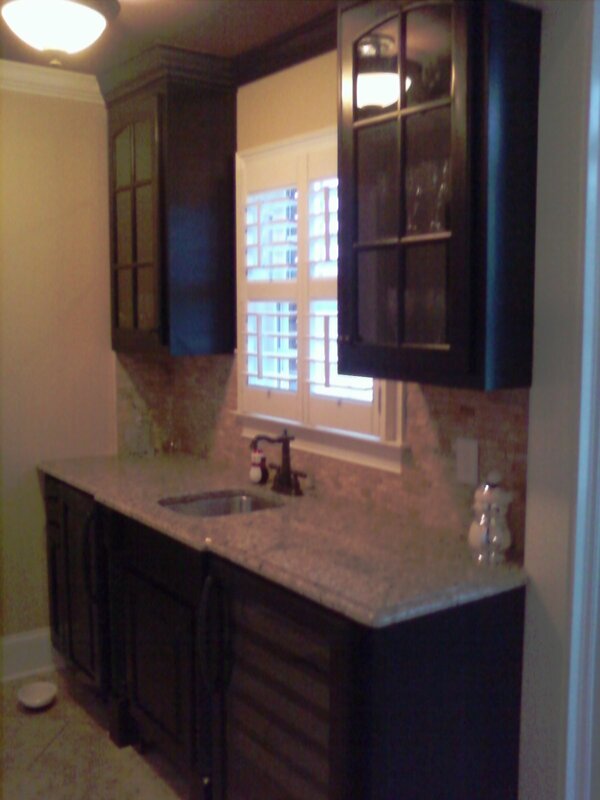 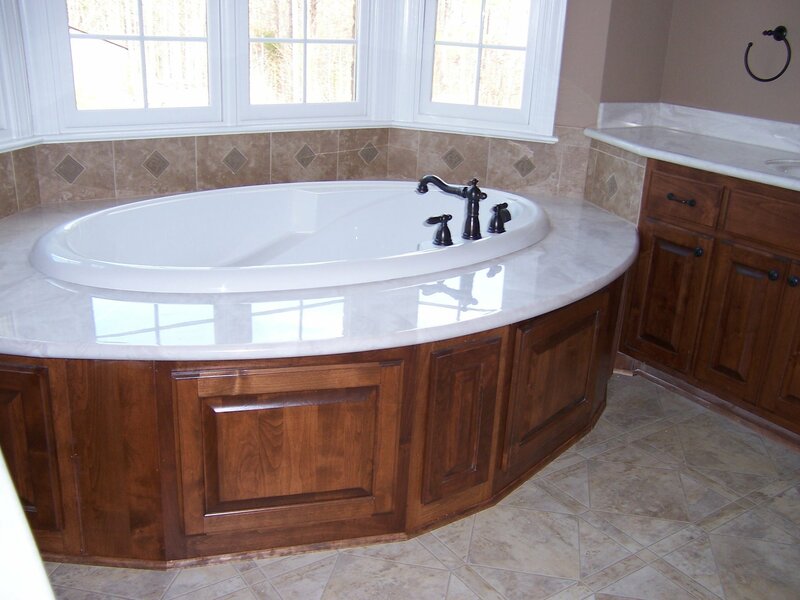 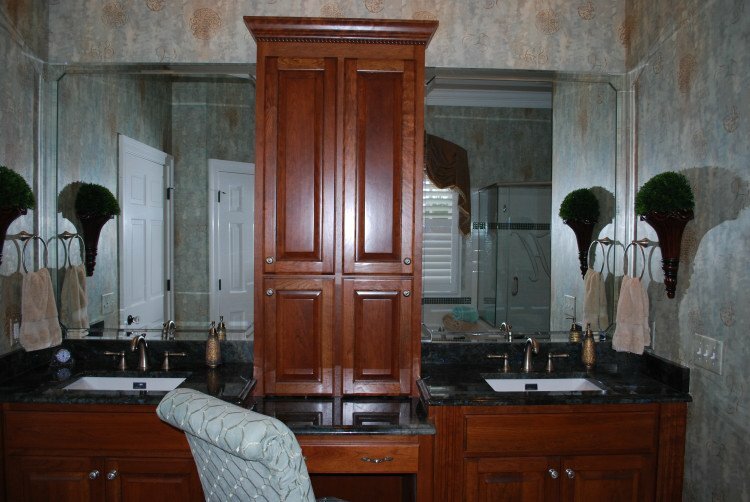 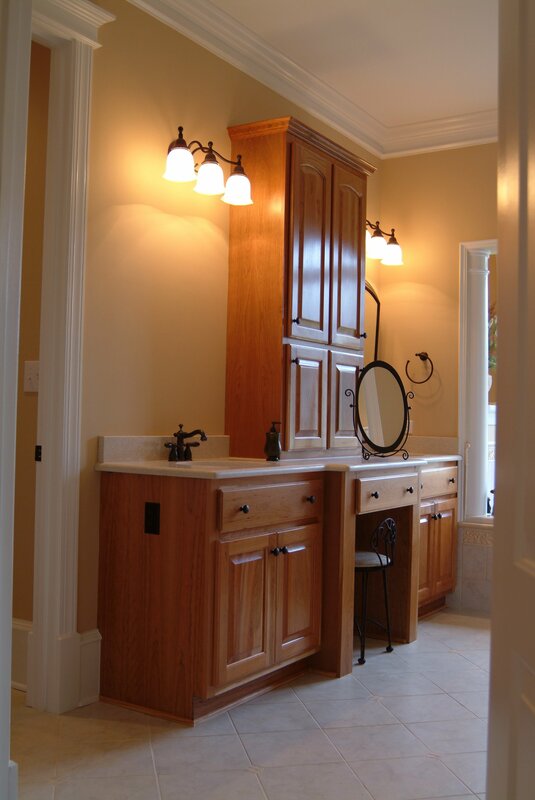 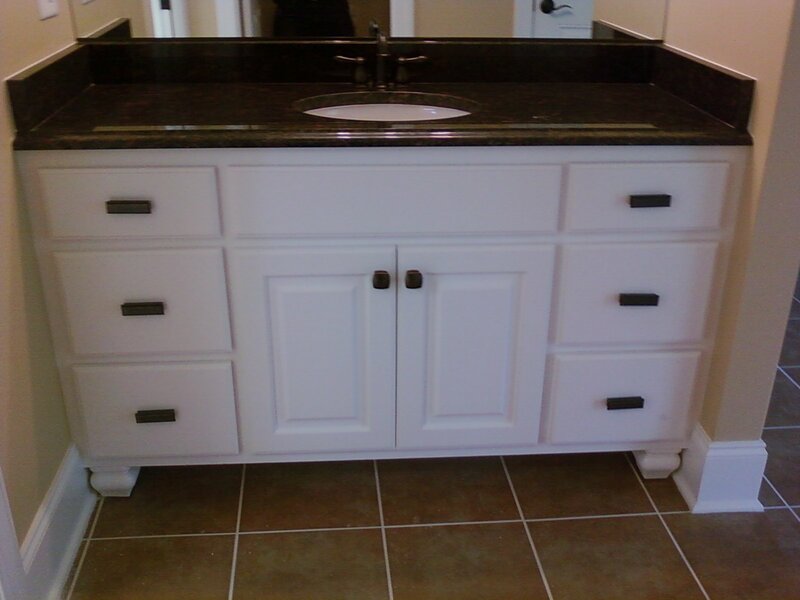 Since 1988, we at The Woodshed Custom Cabinets have served customers from Fayetteville, NC; Goldsboro, NC; Wilmington, NC; and the surrounding areas, creating and installing high-quality custom cabinetry and countertops for beautifully remodeled bathrooms. 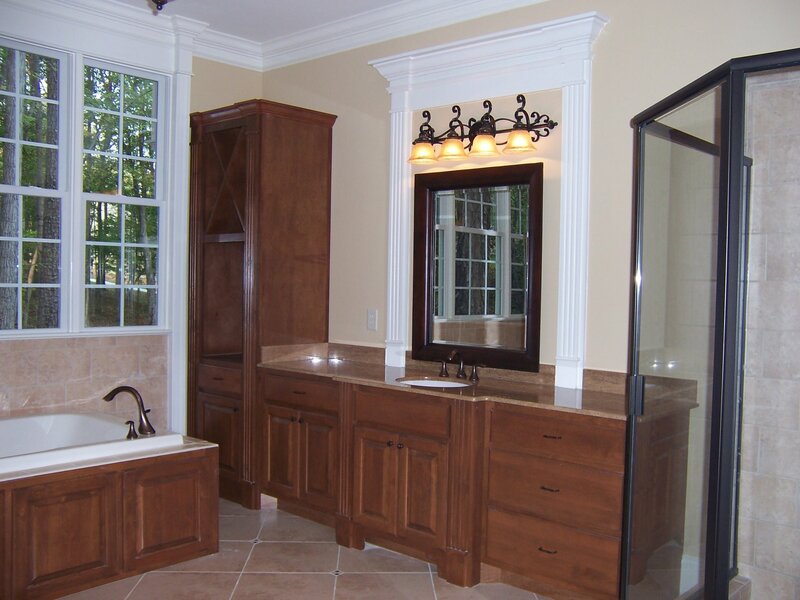 No matter what style or material you want for your bathroom project, we can get the job done with the highest standard of quality in the industry. 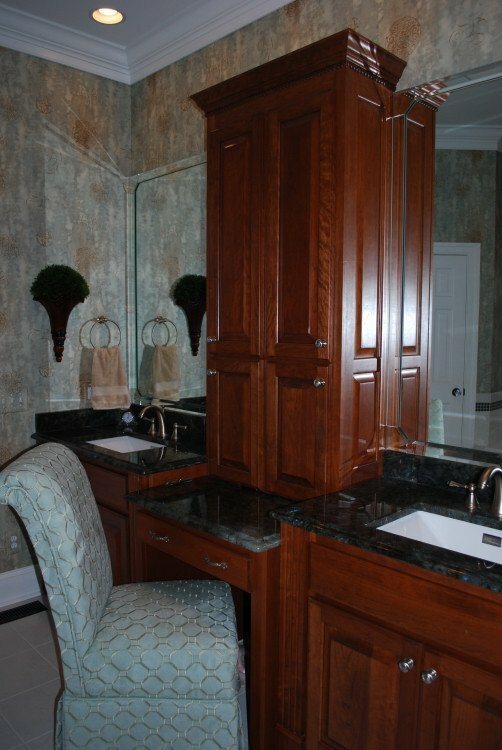 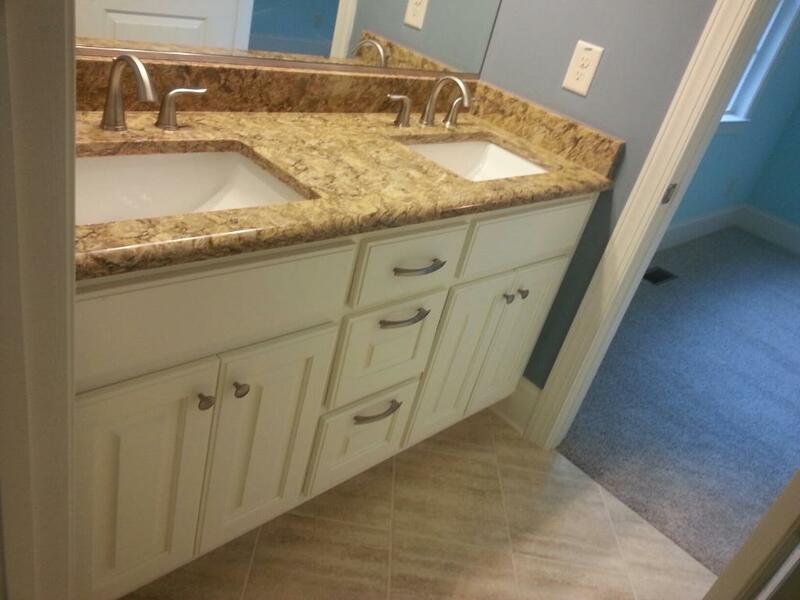 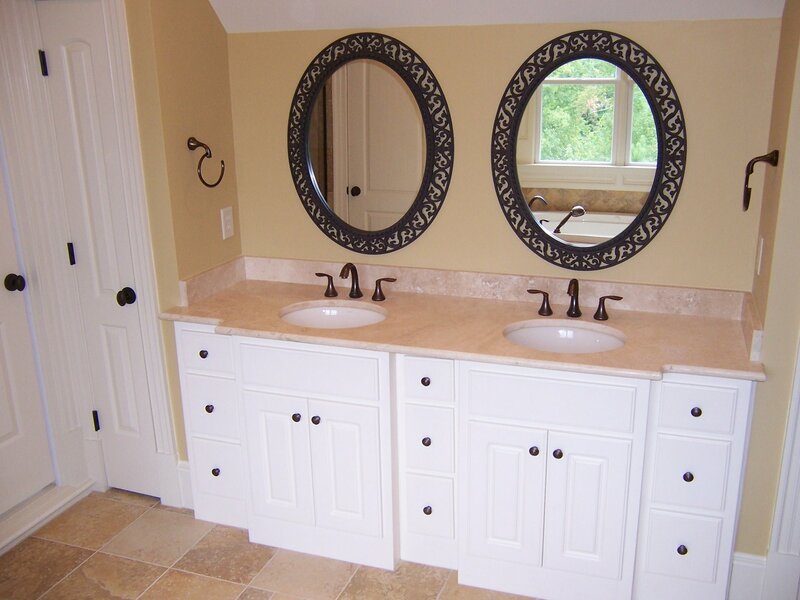 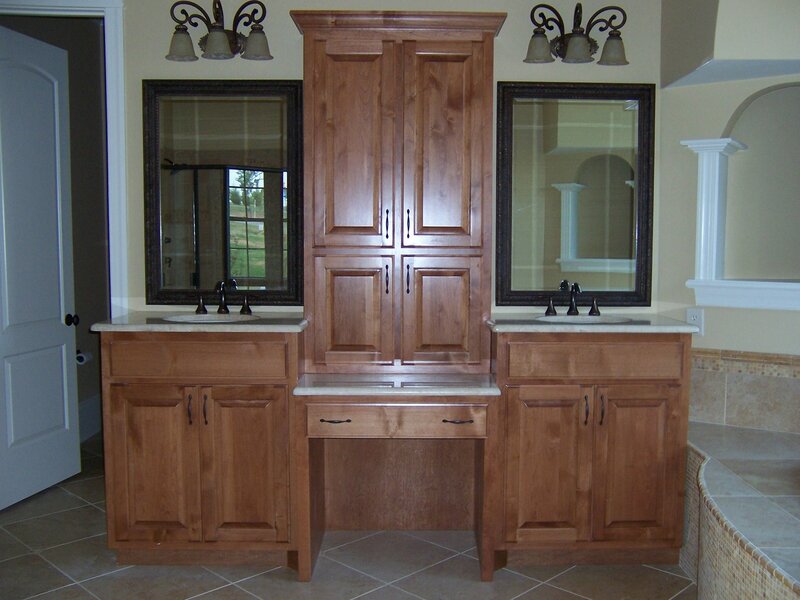 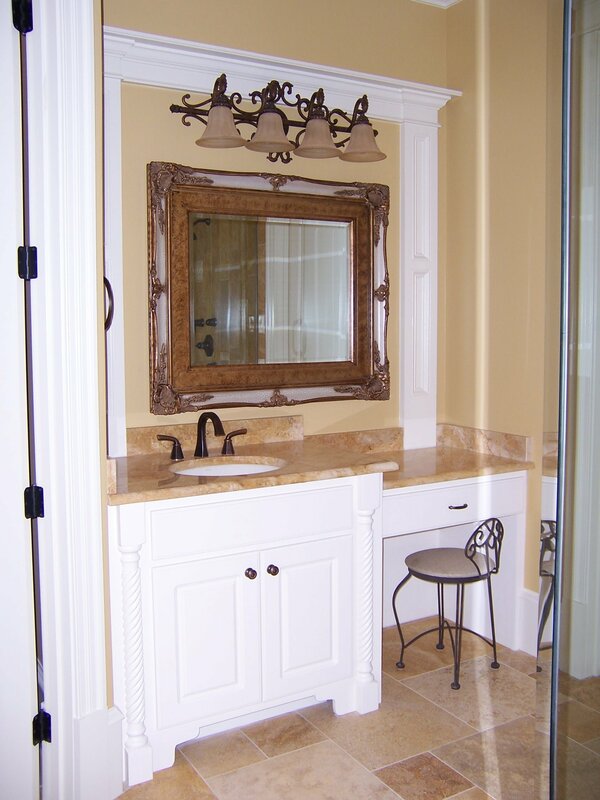 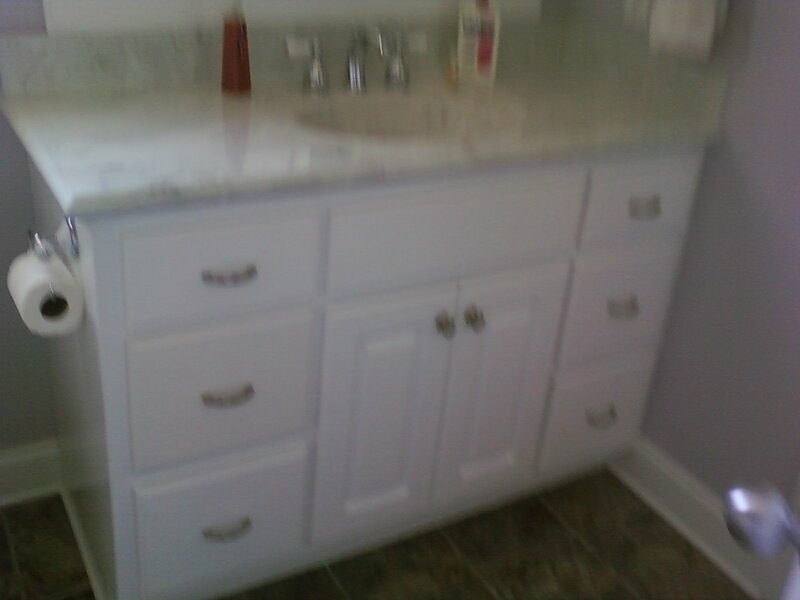 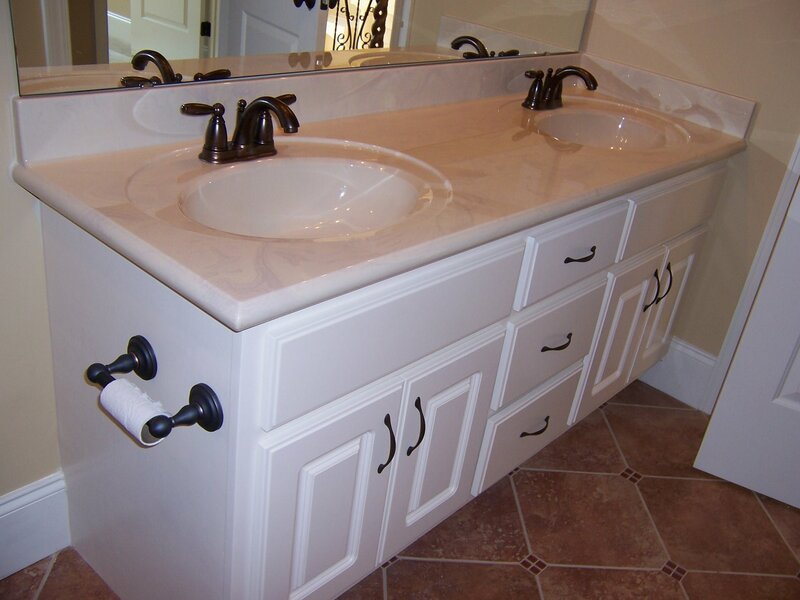 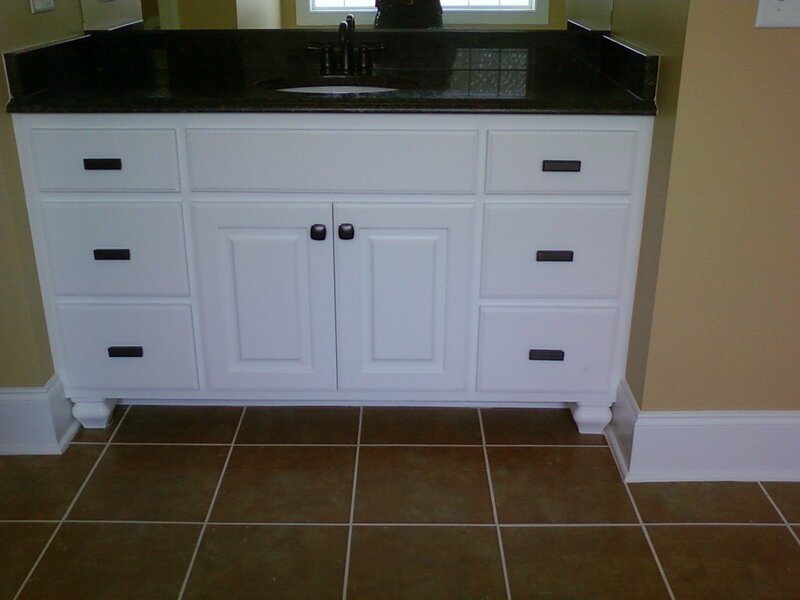 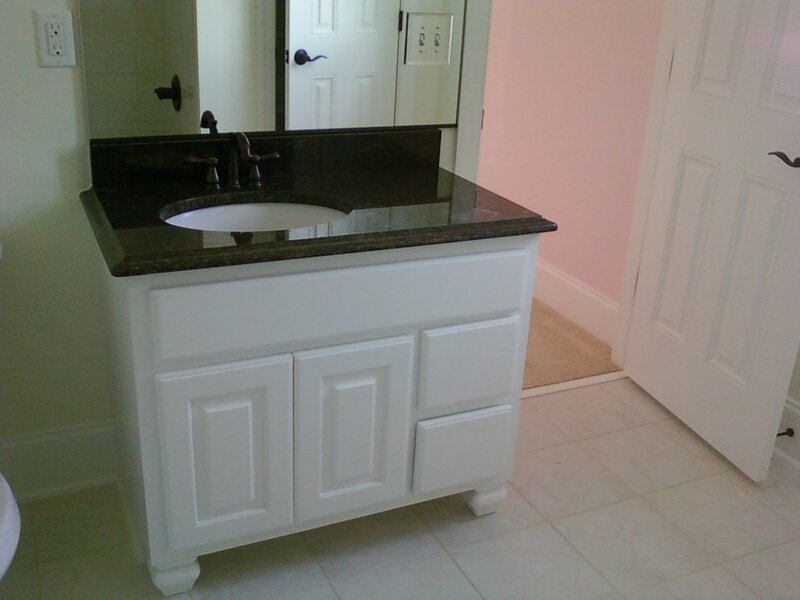 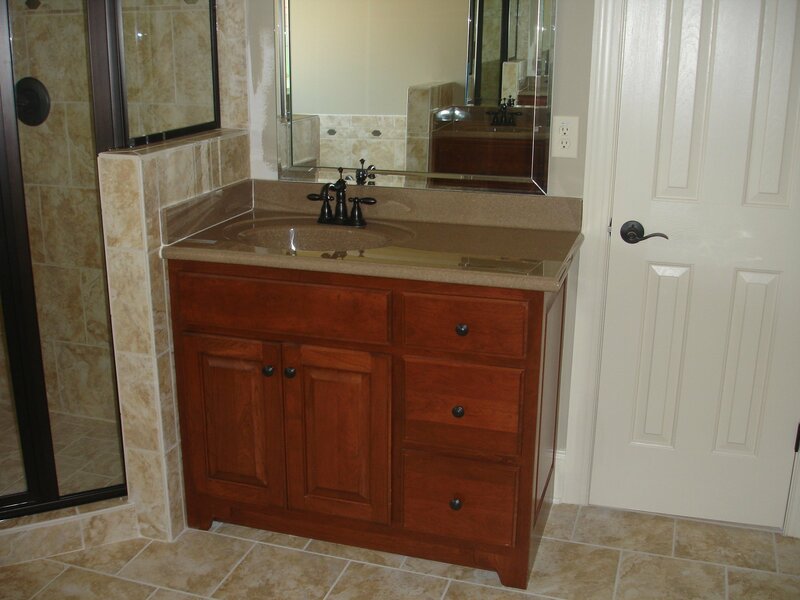 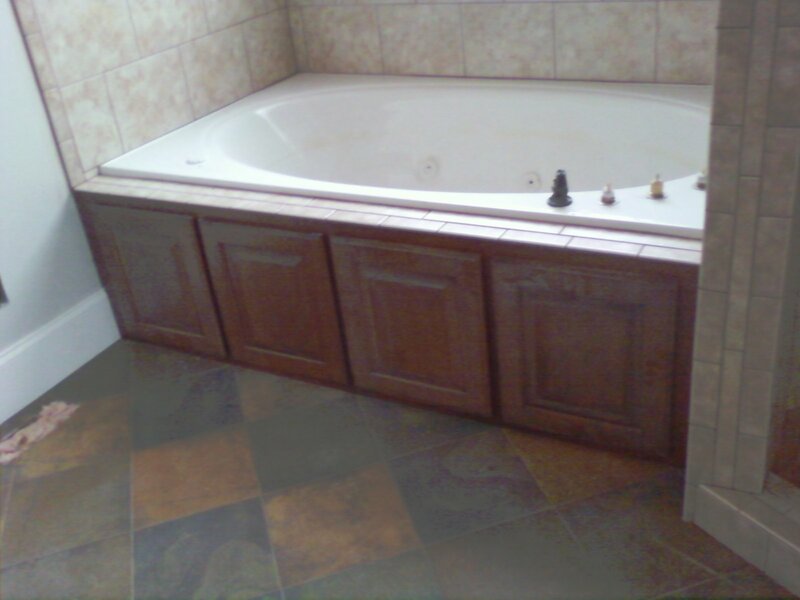 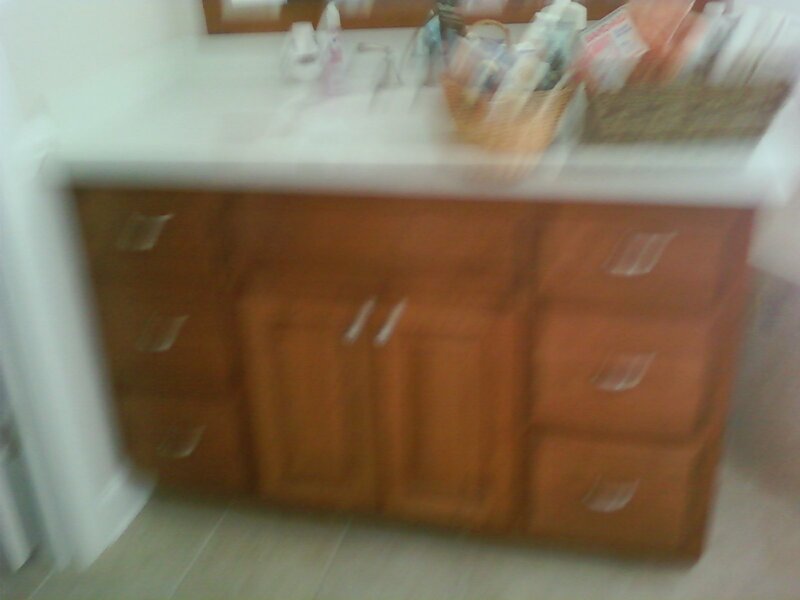 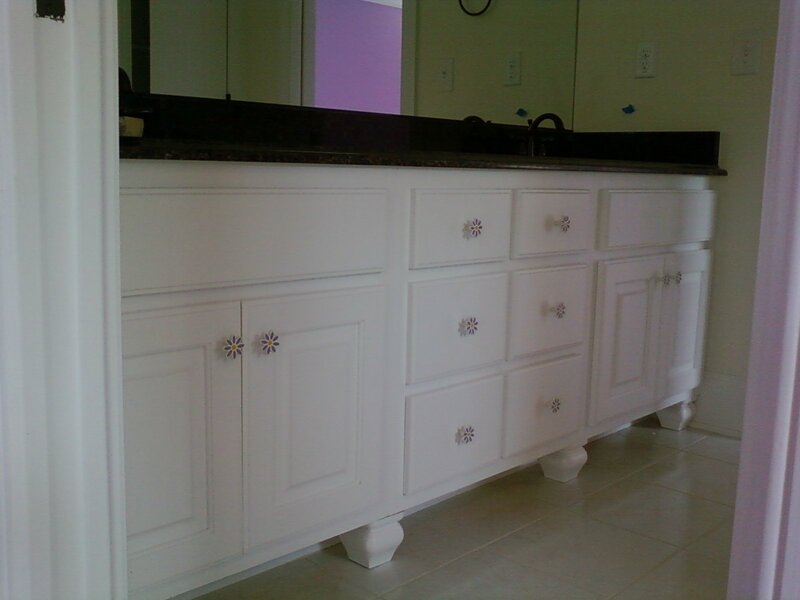 Get the bathroom of your dreams with our custom bathroom cabinet installation services! 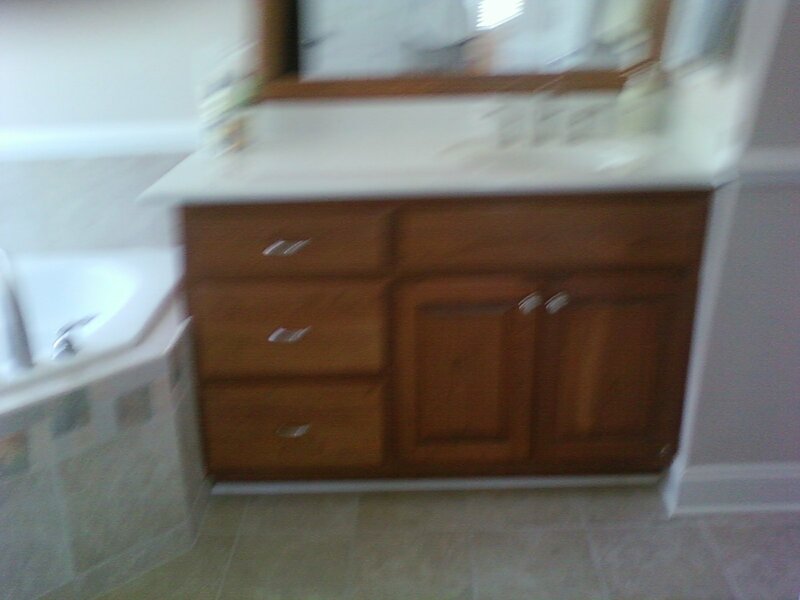 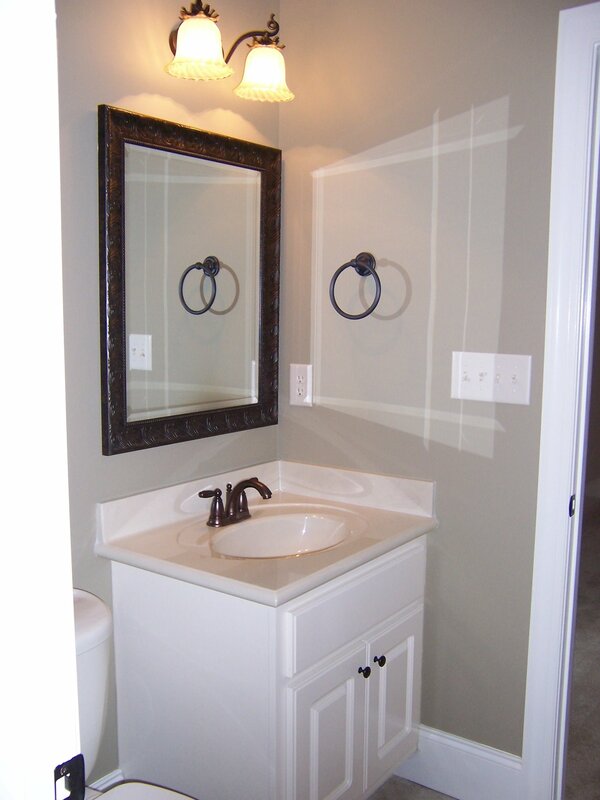 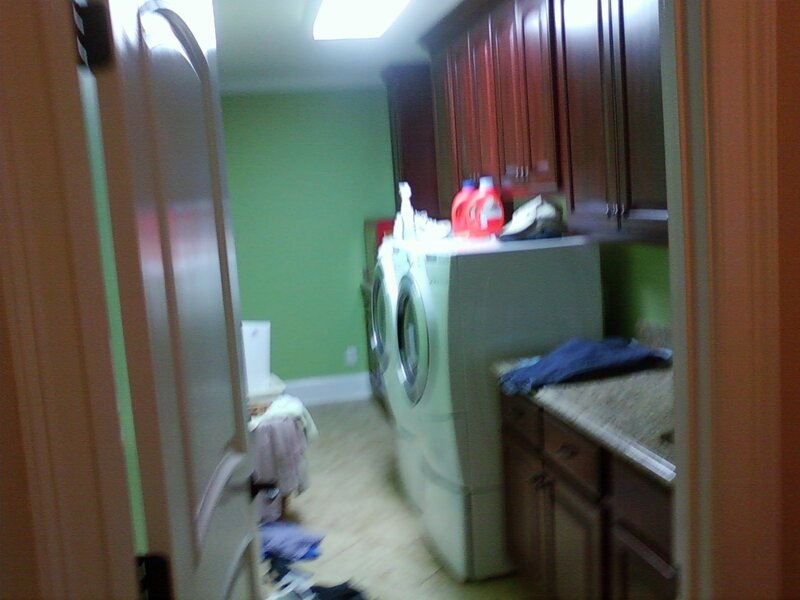 Helping those in Wilmington, Fayetteville & Goldsboro, NC get their dream bathroom! 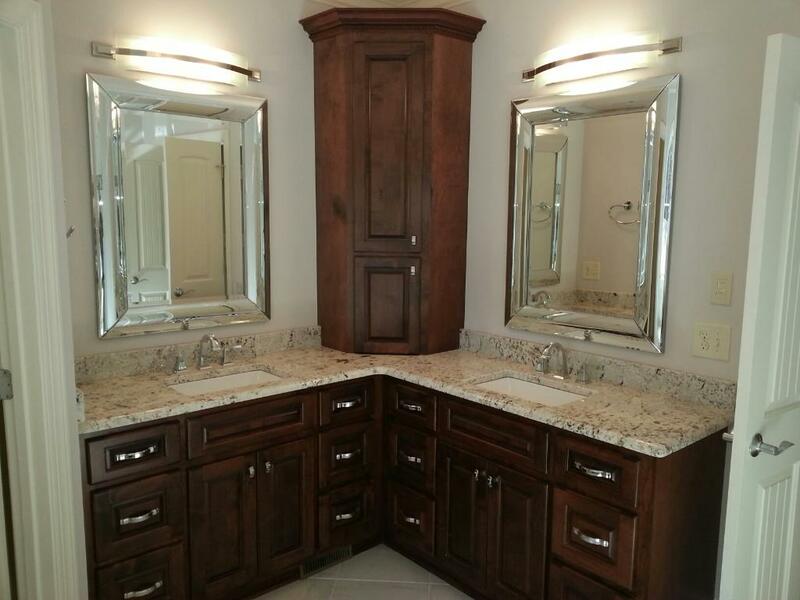 Whether you just want new custom bathroom cabinets installed or you want to fully remodel your bathroom, our professionals will address your project with a strict attention to detail that ensures everything is perfect and the job is done right the first time. 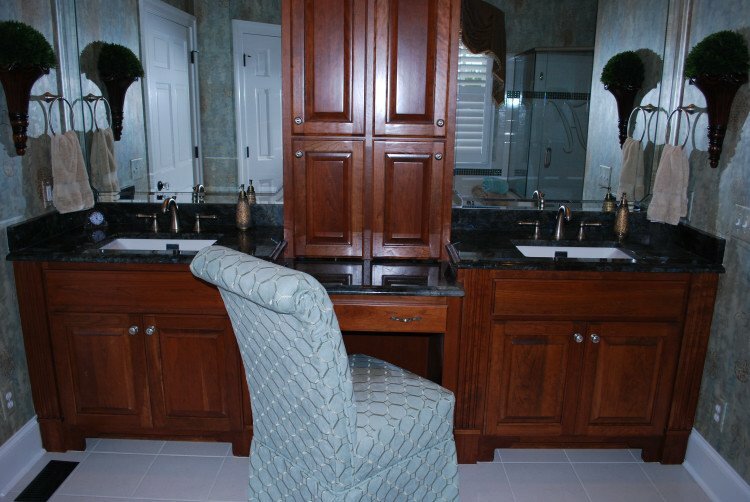 If you want a change but aren’t sure what you want, we can work with you and help you design a bathroom that meets your needs. 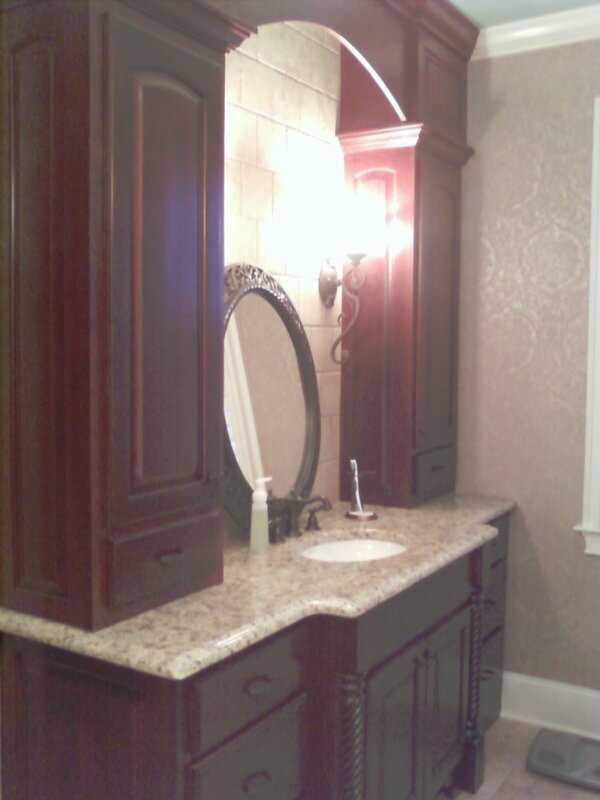 Call us today to start discussing your bathroom project.